During the week leading up to Easter Sunday the corps held nightly meditations. Visual images, video extracts and extended scripture readings allowed those attending to reflect on the many themes of Holy Week. 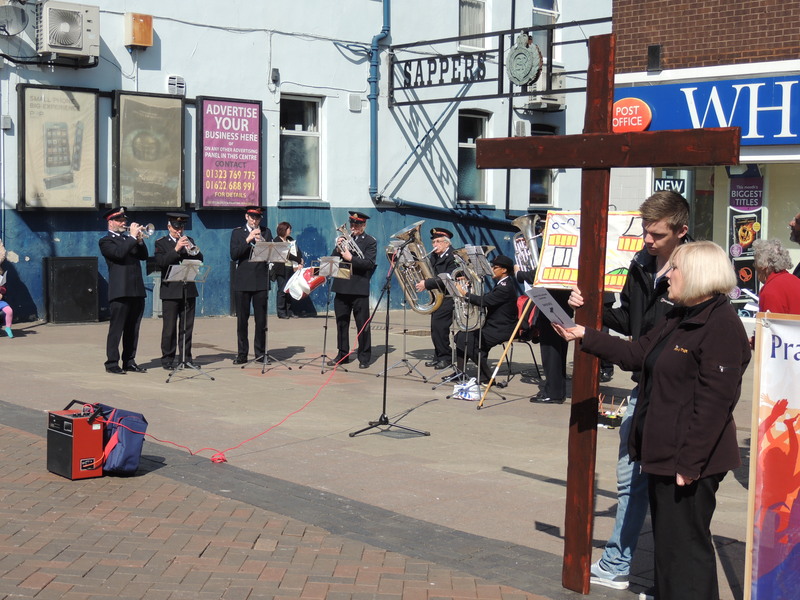 On Good Friday, the churches of North Gillingham met for an open air witness in the High Street, with the corps band leading the worship. 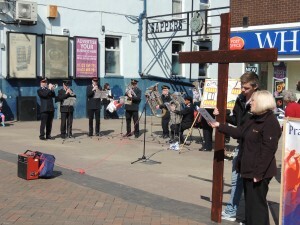 A good crowd attended and balloons stating ‘Jesus is alive’ were given out to children walking by. Easter Sunday commenced with a sunrise service by the river and then breakfast back at the hall. This was followed by an Easter celebration with many family and friends attending.